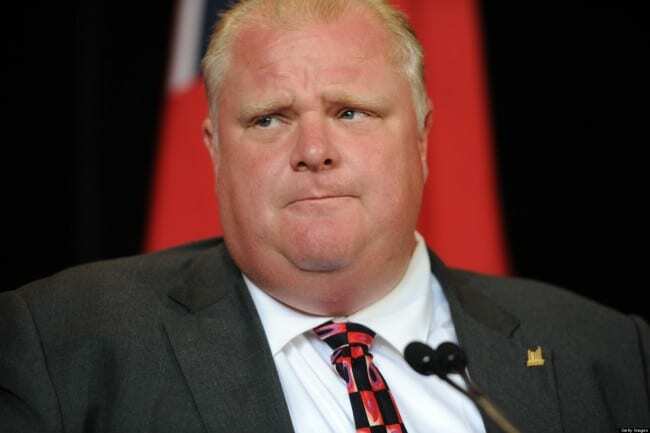 Rob Ford, the current mayor of Toronto, has faced much public scrutiny and derision over the past few months, as news that he has abused crack cocaine while in office has come to light. Further public outcry as persisted as the mayor has refused to step down from office, despite the fact that his drug abuse has become public information. The men and women working around Ford have been very clear in their opinion that Ford should leave office in the wake of public news of his drug abuse. Recently, a debate was conducted concerning the issue of Ford’s possible resignation. Of the 43 councilmen present, 41 voted in agreement with an open letter that asked Ford to step down. Many councilmen also voted on a separate movement to encourage the troubled mayor to take a leave of absence. Though both votes were nearly unanimous, they did little to move forward any real action in terms of the mayor’s ability to serve. According to local law, the city council does not have the legal ability to remove a mayor from office. While many individuals both inside and outside of the city government believe that Ford should leave office, there is currently little legal recourse for his opponents. Though tape has surfaced of the mayor smoking crack during the incident in question, it is not legally admissible. This is not the mayor’s first bout with controversy. Ford has admitted to being out-of-control drunk on a number of occasions, and frequently makes comments that surprise his constituents. While much of his behavior has been unusual, and even cause for alarm, he has not, to date, been convicted of a crime, which is the only way that he could be forced out of office. Mayor Ford is certainly not the first addict to be in denial about the severity of his problem. Most addicts go through a period of denial. When a person is addicted to a substance, they become obsessed with procuring more of the substance, and take all measures necessary to ensure that their use can continue. By denying that they have a problem, a user effectively convinces his or herself that they can keep using.